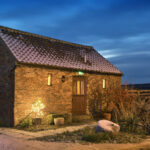 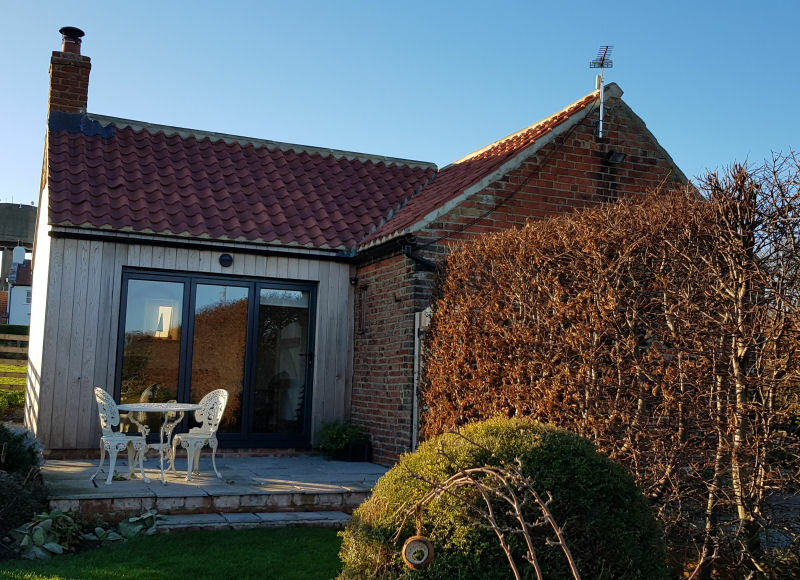 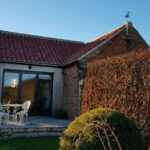 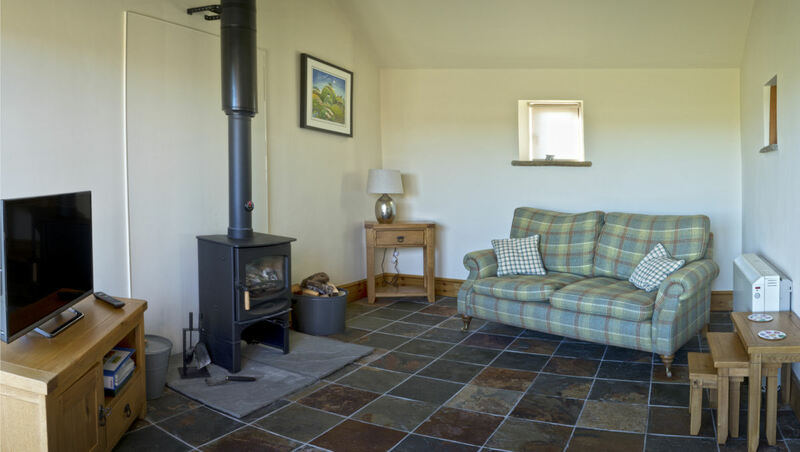 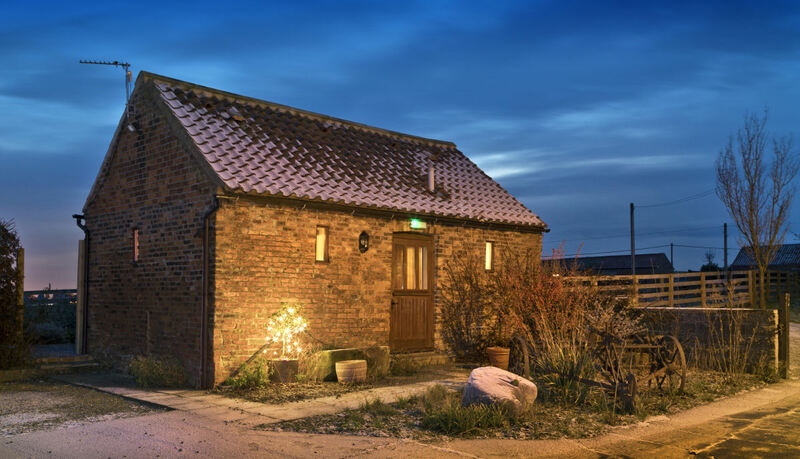 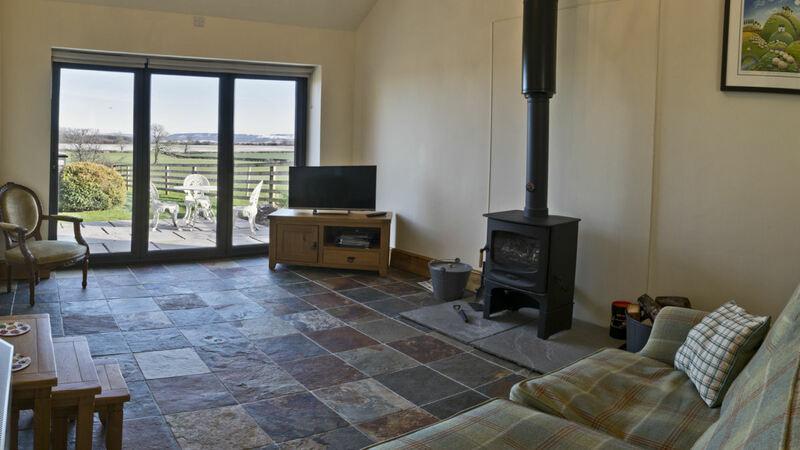 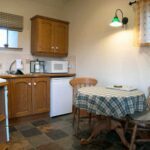 Lovesome Cottage Accommodation with it’s high beamed ceiling and slate floor – provides luxury accommodation with the flexibility to have bed and breakfast or cater for yourself or a mixture of both. 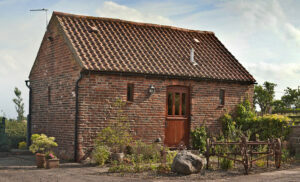 It sleeps two, and boasts an antique half tester bed and period furniture. 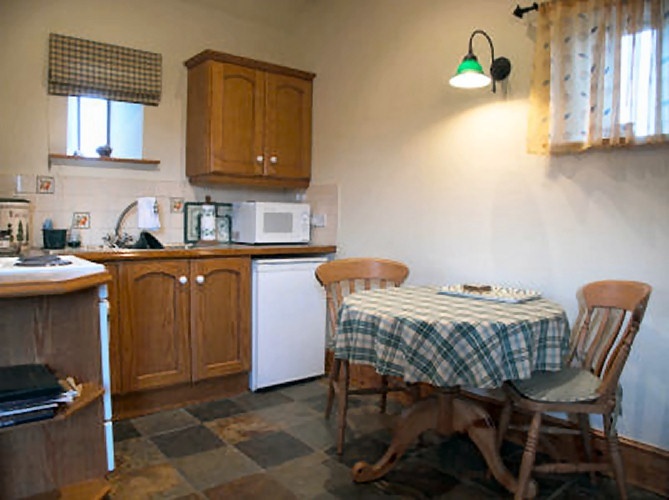 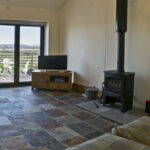 The kitchen and eating area is well equipped with cooker, microwave and fridge. 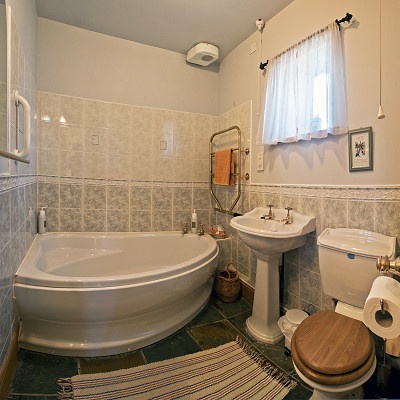 The attractive bathroom comes complete with corner spa bath and shower. 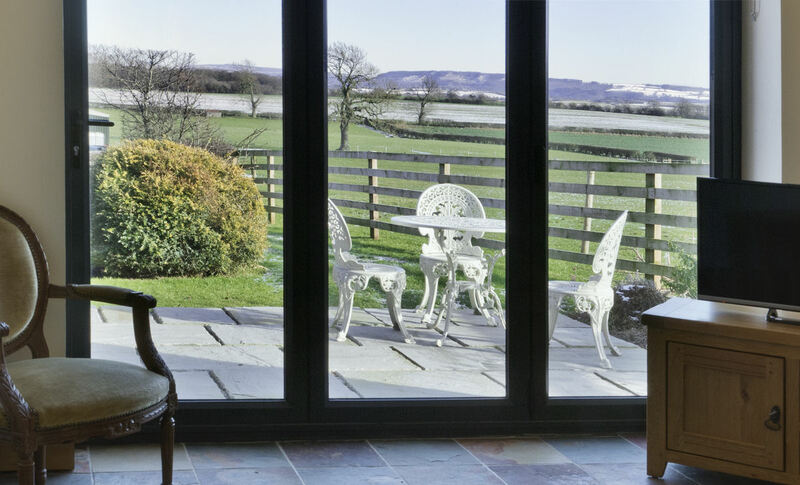 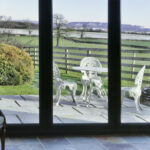 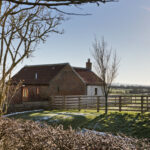 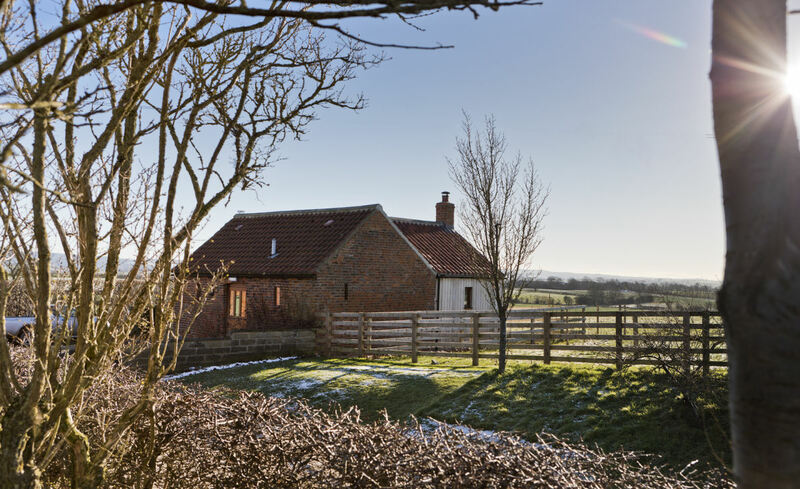 Enjoy views over the Hambleton Hills from your very own private patio… Ideal for that special weekend away. 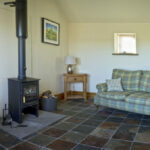 If you are coming for a special occasion we can arrange flowers and champagne in your room. Exclusive use of Hot Tub by prior arrangement!